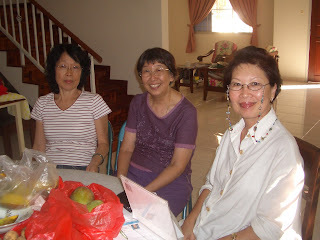 Last Friday, 5 September, I was in Batu Pahat to attend an informal reunion dinner. 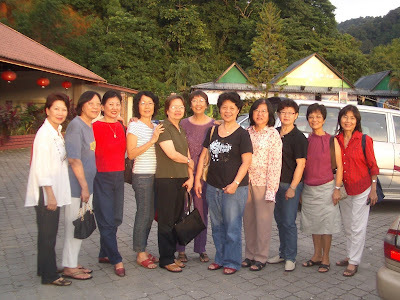 There were 11 of us golden girls from the Class of 1964 of Temenggong Ibrahim Girls School, Batu Pahat. 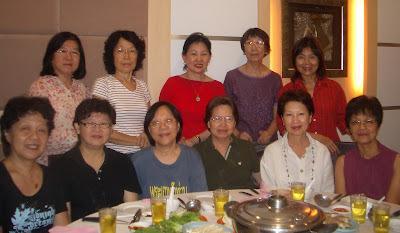 Some of us had not met for 44 years! Mother Time has certainly been kind to us. Had we bumped into each other on the street, we would still be able to recognize each other. There was Lily Leong from Sydney, Sin Foong and Kim Wey from Johor Baru, Yan Joo from Muar, Soo Watt and I from Kuala Lumpur, Soon Phin, Ai Leen, Lian Hoe and Shin Onn from Batu Pahat, and Lena who has just moved back to BP after spending the last 38 years in Singapore, including seven years working as Assistant Director of Publishing and Research at the Singapore National Library. Most of us have recently retired, and are looking forward to enjoying our much-deserved freedom from the pressures of work. Lena offered us the hospitality of her newly-renovated house. Just to make sure sleeping arrangements were adequate, Kim Wey brought two mattresses all the way from JB. This certainly gave a whole new meaning to camping! It didn't take long for us to get re-acquainted. 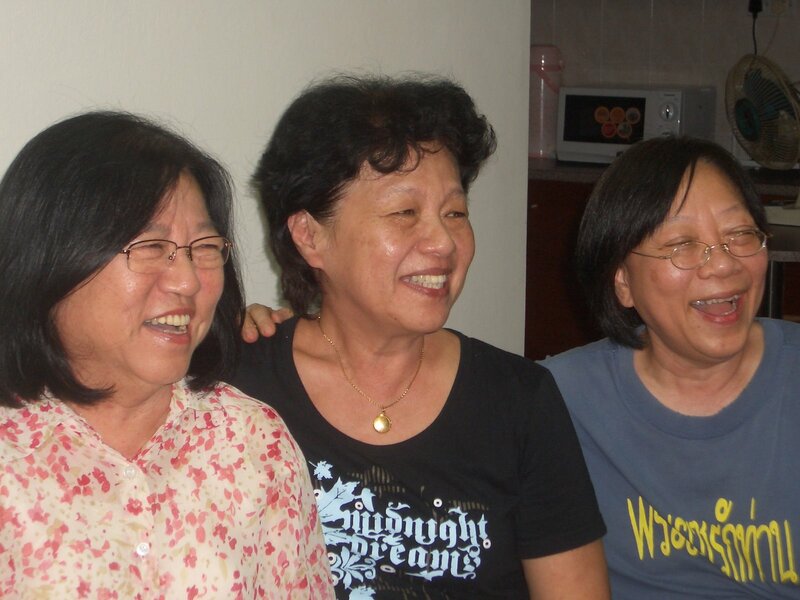 Mothers and grandmothers alike were soon reduced to giggling schoolgirls, as we shared fond memories of our schooldays. We pored over Lena’s collection of black-and-white photos of yesteryears. 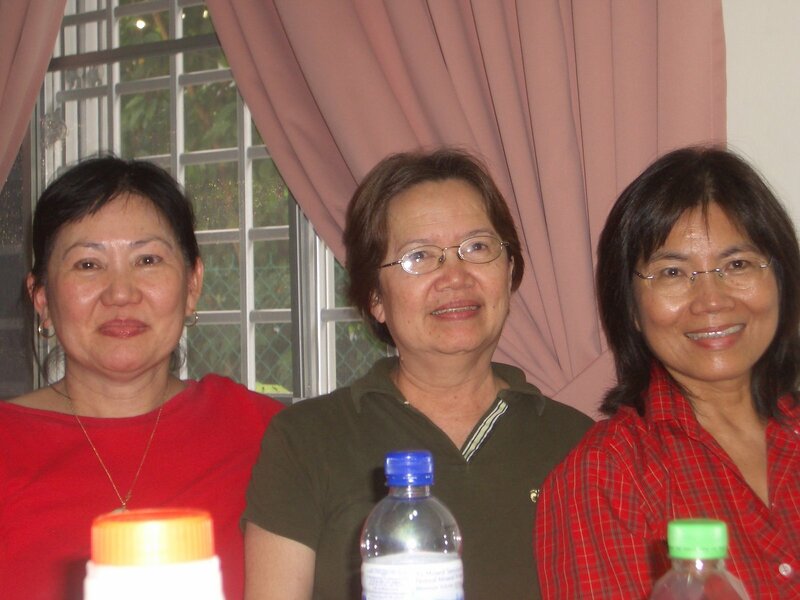 There were moments of sadness when we found out that a few of our former classmates and teachers had passed on. 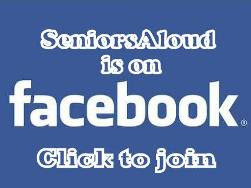 Some of us admitted that we had taken to reading obituaries of late. How depressing! 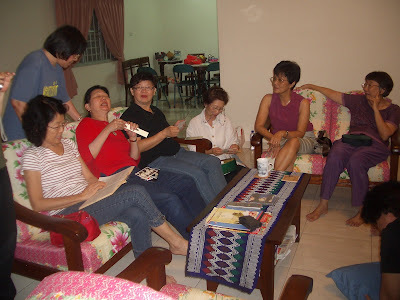 We had so much news and stories to exchange that we didn't even have time to bathe before dinner. Not that any of us minded. The cheongsam I had packed remained in my overnight bag. We all went for dinner dressed as we were in our crumpled clothes. To my delight, we fitted right in with the ambience and the patrons at the restaurant! Dinner was a boisterous affair, and all we drank was Chinese tea, honest! We also had a good laugh when the bill came. 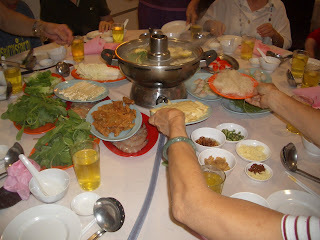 Our steamboat dinner for 11 of us in a VIP room with karaoke, came to less than RM150! If we had not ordered prawns and fish, the total would have been even less. 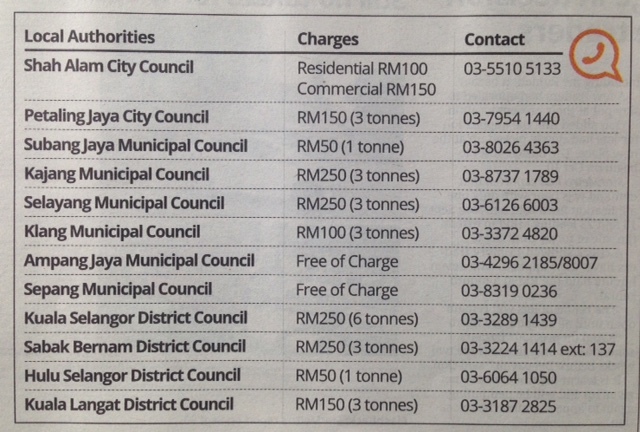 At such prices, I’m sorely tempted to retire in Batu Pahat. Let’s hope prices remain that way in small towns. Incidentally, the bus fare from KL to BP cost me only RM15.80! Despite feeling stuffed from dinner, we could not resist the lure of dessert at our favourite riverside food stalls. We had ice kacang, fried carrot cake, fried taufoo, and would have ordered fried squid, fried oysters, popiah, and rojak, but there was simply no more room in our stomachs. We ended the day back at Lena’s house. It was past 11pm, but no one was ready for bed yet, or a shower! We had another session of sharing before I had to leave for my sister’s place. (From Sin Foong): Thank you all for attending the little reunion - let's hope the numbers will grow from here on ... Shin Onn, for liaising, organizing the dinner, brunch treat, ferrying us around and watching over us, Lena, for accommodating us at your place - this beats even the suite at Katerina Hotel! Cheers! Here's to more get-togethers. 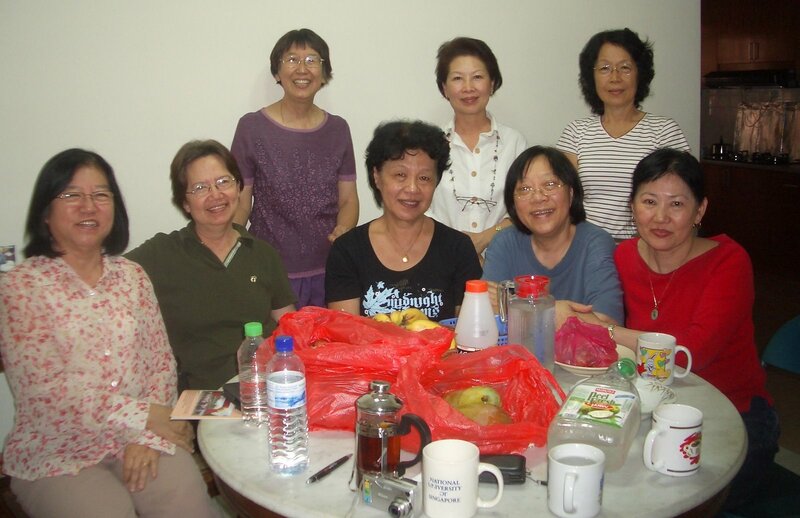 (From Yan Joo): Thank you to the JB group for the mangoes, Lena for the bed, the bedtime story books, for putting me up in the lovely house and not forgetting making me tea.. mmm... not bad getting the Asst. Director of Publishing and Research at the Singapore National Library to make me tea and to cut the mangoes...Shin Onn for the coordination and the booking of the VVIP room..and the brunch. 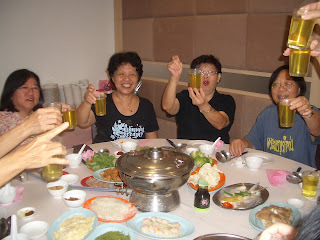 Thank you, S Foong, for being always the driving force behind all the gatherings and the lovely emails. It was good for the soul to meet all of you. The next meeting Lily should give a talk on “How senior citizens should behave/not behave in public" using us as examples. Thank you all for being there and making this a gathering to remember. (From Lena): It was my pleasure. I've been writing to my ex-colleagues to make them jealous of the great time we had. Let’s do it again! 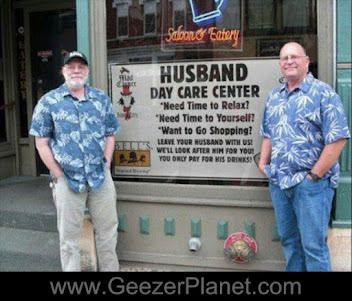 (From me): Yeah, let’s not wait another 44 years for the next reunion. I might not be able to make it then! Great blogging Lily. Just want to say that you gave me too grand a title - wah! you & Yan Joo have "naik pangkat me already!". My last designation was only Asst Director, Publishing & Research, National Library, which is quite different from Asst Director, National Library. Also, the number of years there was 7 years not 17. Overall - spent 38 years in Singapore at various libraries! 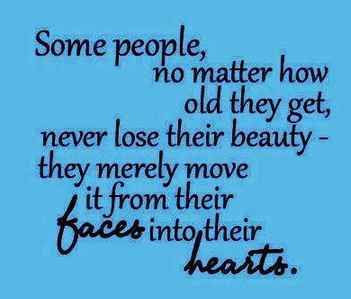 Indeed, we should keep in touch more regularly.